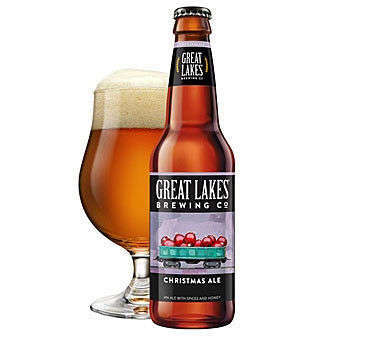 In this "Best of" edition of WTOP's Beer of the Week, WTOP's Brennan Haselton and James Beard Award nominee Greg Engert talk about Great Lakes Christmas Ale. WASHINGTON — It’s been six years now since WTOP launched “Beer of the Week” with the help of the Neighborhood Restaurant Group. So we thought it would be fun to revisit the first beer we featured, which is still available and popular today. In this “Best of” edition of WTOP’s Beer of the Week, WTOP’s Brennan Haselton and James Beard Award nominee Greg Engert talk about Great Lakes Christmas Ale. Description: Christmas Ale features a yuletide’s worth of holiday spices and sweet honey to keep you a-wassailing all season long. Be sure to check out previous Beer of the Week videos on wtop.com.